While I'm not particularly religious, I do acknowledge the hugely important role religion has played in language. In fact, one of our earliest posts looked at the lasting impression of religion on language. Some of the most impressive curse words in many languages come from the dominating religion in the country's native language. For example, it seems most, if not all, of the curse words in Spanish are blasphemes, and I'm very fond of how some of the worst words you can say in Québécois French refer to items located in a church. However, cursing aside, religion has informed language and linguistics to a great degree. While I could go on and on about every religion in the world, today I'll be focusing on Christianity, its prayers, and its holy text, the Bible, and what it has offered to the academic discipline of academia. The patron saint of translation, St. Jerome, was a famous translator. His work in translation focused almost entirely on translation of scripture. 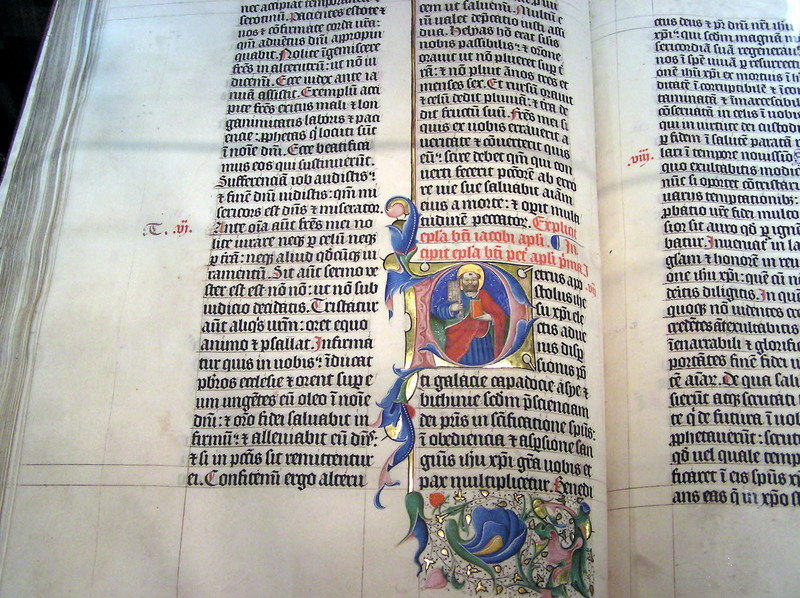 Of course, St. Jerome wasn't the only person translating the Bible, which was originally in Hebrew and Aramaic. It is now fully available in over 500 languages, with parts of it available in thousands of languages. Thanks to the entire Bible being translated into hundreds of languages, it works as an instructive parallel text that allows us to better understand the differences between languages, their various families, and even the translation methods used. When there are several different translations of the Bible in the same language, we can compare them in order to ascertain which translation method was used. In fact, the concept of equivalence in translation was devised by Eugene Nida, who had used the Bible as the object of his studies. He used the adjectives dynamic and formal to describe different types of equivalence. In the case of formal equivalence, he described a process whereby the translator strictly follows the structure of the source text rather than rendering the text in the most natural way. The other end of the spectrum is dynamic equivalence, whereby the translator employs more creative freedom in order to render the translation as a more authentic-sounding text in the target language. Of course, when the text is translated in this way, it runs the risk of losing some of the nuances and details that were in the source text. You can consider these methods in the same way as recording a cover version of a song. You can either record the song exactly like the original, or you can perform it in your own style. If you imagine your own style is the target language and the original style is the source language, then you're starting to understand dynamic and formal equivalence. 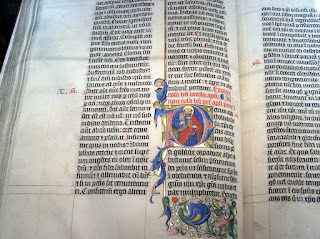 A handwritten version of the Bible in Latin. In English alone there have been plenty of different translations of the Bible. Some have used formal equivalence and others have used dynamic equivalence. Of course, no translation is fully dynamic or formal. In fact, certain parts can adhere to one strategy while other parts adhere to another. The important thing is what you are trying to communicate. For example, if you were translating the Bible in order to ensure that all of its teachings will be followed to the letter, you would prefer a formal approach. This would mean that not a single detail would be lost. However, you could argue that speakers of the target language might find the reading unnatural, jarring, and not particularly accessible. If your job as a translator was to ensure that the maximum number of people were exposed to Christianity and an accessible version of the Bible was available, you would look for a dynamic approach. This would mean that you probably wouldn't be able to directly quote scripture, and its teachings would be vaguer and display a degree of the translator's own interpretation. You can hardly say which approach is correct as it all really depends on what the goal of the translation is. Nevertheless, scripture can provide a fantastic resource for understanding how you can approach translation. It's certainly more than just knowing two languages!